What could be better than a relaxing and calming massage by the pool? Or your own personal yoga session on the rooftop terrace in the evening sunlight? Or to paint the breathtaking surroundings with help from an expert local artist? 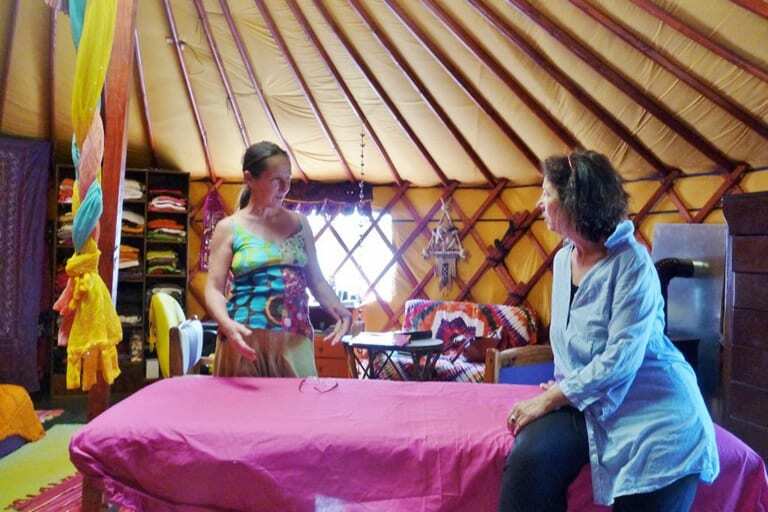 We can arrange massage and yoga and alternative therapies and more to help you get the most out of your visit to Panokosmos. Would you like a sounding board to take a fresh look, a different perspective on your work, your goals, or your life? John spent his last 15 working years with senior managers and stressed executives, helping them thru change. He can gently support you in a journey of discovery – you just need to ask. 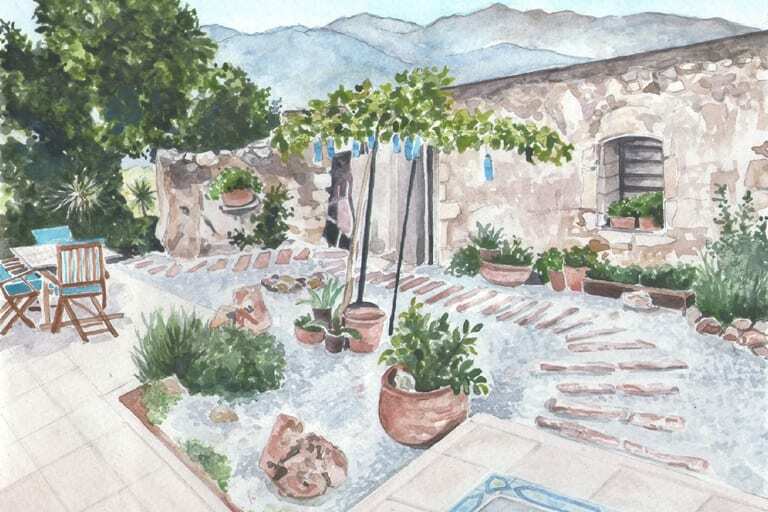 Fransesca is a watercolour artist who paints and sells locally as well as undertaking commissions from abroad and running workshops in this medium. Her bubbly personality and enthusiasm will make for a positive and rewarding session in both drawing and watercolours. And the spectacular surroundings and special atmosphere lends itself to creating the most uplifting experience – you will surprise yourself. All materials and equipment can be supplied, so you don’t need to worry about bringing your easel! We can offer personally tailored yoga sessions from our personal teacher, Mars Jenkin. Following a long and successful career in business, Mars took up yoga to overcome a host of serious health issues, and is a vibrant and enthusiastic example of what yoga can do. Or try Bowtech, a dynamic system of muscle and connective tissue therapy. It utilizes subtle inputs to the body, stimulating the body to heal itself, often profoundly. John, a one time scientist with a PhD in Biosciences, and a profound sceptic of such things, is a convert! Experience a wonderful massage with our therapist Gina. Melt away tension, ease aches and pains and relax. Gina is a professionally trained massage therapist and aromatherapist and has gained a wealth of knowledge and experience while working from her private practice, clinics, hospitals, sports centres, and companies, since qualifying in 1996. Offering a high standard of care and attention your massage treatment can be tailored to specific and individual needs. Everyone can benefit from massage therapy!